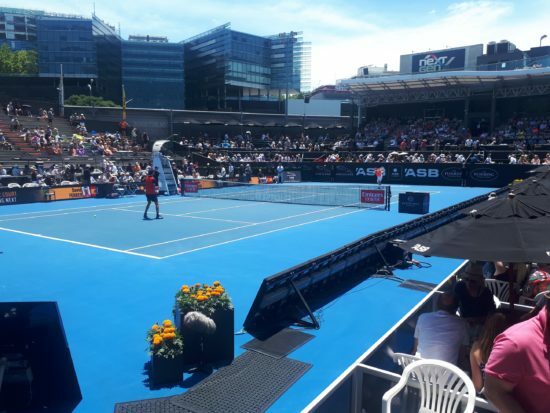 While in Raglan we went to Auckland for the day to see a session of the ASB Classic mens’ tennis tournament. We were lucky to see great tennis from local player Rubin Statham who against the odds defeated Chung Hyeon from South Korea. It was a great match. 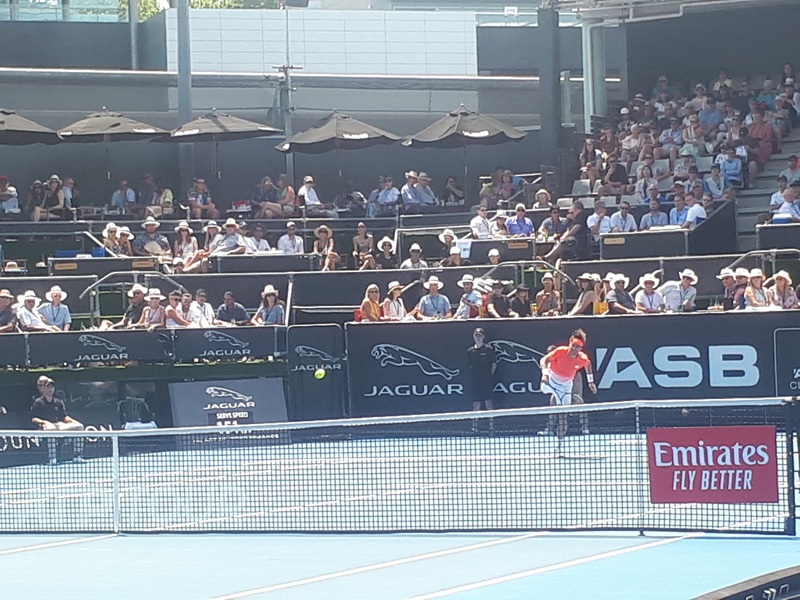 We also watched two other singles matches on a very hot Auckland day. We were seated in the front row of the stand, plenty of sun, and plenty of heat. When the serve is made at over 200 kmph, the ball comes towards you at great speed. Of course if you are in Auckland then a visit to Westmere Butchery is a must in my mind, so we also managed to squeeze this in. I was keen to purchase some Beef and Mushroom sausages. In the Devro Great New Zealand Sausage Competition these sausages won the People’s Choice, and gold in the Gourmet Beef category. These are a good sausage that clearly have wide appeal to the Kiwi punter. It was was easy to understand why they were won the Peoples’ Choice Award in last year’s Devro Great New Zealand Sausage Competition. It is a medium grind sausage where the dominant flavour of beef is complemented by the secondary flavour of mushroom. The boys enjoyed the sausages, although they do prefer – like their father – a sausage with more spice. 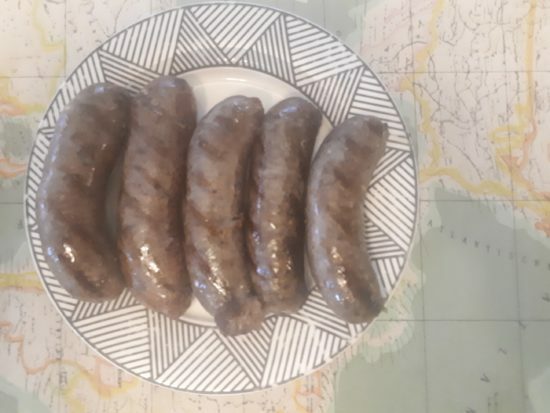 My favourite sausage from Westmere Butchery is the Italian Bandiera so I was disappointed they did not have any in stock when we visited. However there is always next time – I’ll just have to visit again.